In this article we are answering the question: Can an inflatable hot tub help me lose weight? The answer is: Yes, but. . .
We have to tell you from the start that using your portable hot tub won’t help you lose weight on its own. It needs to be one part of an overall weight loss plan. Losing weight is tough (as we know all too well!). It takes time, commitment, effort, and most importantly willpower. Over 50 million Americans are on a diet at any one time, but only 5 per cent will manage to lose weight and keep it off. It’s nice then when you find something that is enjoyable and makes your hard work a little easier. One of these is using your inflatable hot tub. How Does An Inflatable Hot Tub Help You Lose Weight? First off, did you realise that you actually lose calories just sitting in your inflatable hot tub? Not many to be sure – about 17 calories from a 15 minute soak. But hey! we’ll take any help we can get. Where a hot tub helps the most though is in its ability to help you de-stress. Numerous studies show that stress is a contributing factor to weight gain – and it’s a barrier that prevents people losing weight. We all know that modern-life is stressful. The pressures and demands of work, family, running a home, personal development, social media, friends. . . They all add up to create levels of stress that are increasingly difficult to cope with. The problem is, there is a hormone in your body called cortisol. It’s a steroid hormone that regulates a wide range of processes throughout your body, including your metabolism and your immunity. Cortisol also has a very important role in helping your body respond to stress. You have probably heard the phrase ‘fight or flight’. Well, when you are faced with a threat – which immediately causes stress levels in your body to rise – cortisol pumps through your bloodstream, and helps your body and mind make the decision whether to run away (flight) or stand your ground (fight). This was an important reaction for our ancestors, when faced with literally life or death situations. However, in both cases – fight or flight – the increased coritsol causes your body to produce more fat very quickly. That’s so that you have more energy for either your fight or your flight. For most of us today, we don’t have that many true life or death situations. 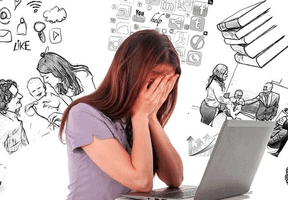 The problem is, however, modern lifestyle triggers stress almost constantly. Just having to juggle tasks at work, which seem endless, raises our stress levels enormously. This, as we now know, causes cortisol to race through our body. And when the stress keeps on coming, without stopping, so more and more cortisol pumps through our bloodstream. producing more and more immediate fat cells. It’s no wonder that we put on weight so easily these days, in our stressed-out states. And why we struggle to lose weight, no matter what we do. So, with stress – and cortisol – causing so many problems with weight, it’s important to find a way to de-stress as much as possible. One sure-fire way is in your inflatable hot tub. Take 30 minutes a day to slip into the hot bubbling waters,. Simply lean back, close your eyes, and let the heat and massage system melt away the stress. It’s the perfect way to relax and help your body get rid of all that excess cortisol. It reduces the body’s weight by approximately 85-90% when you’re buoyant, relieving pressure on your muscles and joints. It raises your body temperature, causing the blood vessels to dilate which promotes better circulation, delivering oxygen-rich blood to all parts of your body. The massage system helps to relax your skin and muscles, and stimulates the release of endorphins, which are the body’s natural painkillers. There’s one other great advantage of soaking in your inflatable hot tub. It also raises your heart rate while lowering your blood pressure. This may be healthier for your heart than traditional methods of exercise. after 5 minutes your blood pressure and pulse rate begin to drop. after 8 minutes your hands and feet begin to feel warmer as your blood circulation improves. after 12 minutes your muscles relax, and your skin becomes more pliable and responsive to stretching, which promotes the release of lactic acid and other toxins, including cortisol, from your body. after 15 minutes your aches and pains melt away. It’s true. It’s also not that well known, but using your inflatable hot tub on a regular basis can also help to diminish the appearance of cellulite. Those fatty deposits that all too often gather on the hips, thighs and buttocks of many women who are past their 30s can never be fully eliminated. That’s because women’s bodies are naturally designed so that the skin dimples out, whether they are overweight or thin. The one thing that medical experts agree on is that improving circulation to the areas affected by cellulite reduces the appearance of cellulite. Where your inflatable hot tub comes in is that it stimulates your blood vessels, increasing circulation. It also helps tone the body tissue, reduces fluid retention and relieves swelling. All of these factors can result in a lessening of the appearance of cellulite! We already mentioned how you burn off a handful of calories just by sitting in your inflatable hot tub. However, if you want to combine your time in your hot tub with some hydrotherapy, then you will burn off even more. This will further help you lose weight. It”s important, though, that you don’t do a full-on power workout. That’s because you don’t want to raise your stress levels and pump more of that cortisol around your body. Therefore, aim to do some gentle exercises that burn off calories but don’t raise your cortisol levels. 1. Stand up in the water and place your hands on your hips. Lean over to one side without straining and hold for approximately 5 seconds. Then lean over to the other side and hold. Repeat this for 5 repetitions on each side. 2. Next, shrug your shoulders up and down in a gentle circular motion to loosen any tension in your neck and shoulder area. Do this for around 30 seconds. 3. Now stretch your arms straight out to the side and rotate them gently in a circular motion. Do five rotations forwards and then five rotations backwards. Repeat this for 30 seconds. 4. Finally, put your hands on your hips again and rotate your hips in a circular motion. Firstly go in a clockwise direction for 5 rotations, then in an anti-clockwise direction for 5 rotations. Keep your movements gentle and do not strain. Repeat for around 30 seconds. Now that you are warmed up, you can do these exercises without the risk of strain or injury. Remember that your aim is to stay relaxed while you’re doing these exercises. 1. Stand up in your inflatable hot tub next to the wall. Put your hand onto the wall and lift your opposing leg out to the side. Bring your leg back towards you and then extend it out again. Repeat this 5 times. Then turn around and repeat the same routine for your other leg. 2. Next, sit down in your inflatable hot tub – either on the floor or on a seat if you have one. Reach out and hold onto the sides with both hands. Raise your legs off the floor. As they start to float upwards, move them in a bicycle movement, as though you’re riding a bike. Do this for up to 30 seconds. 3. Stand up again in your hot tub. Extend your arms straight out in front of you and then bend your knees so that you are doing gentle and slow squats. Do up to 10 squats. This is a great way to do squats if you have bad knees, as the water reduces the strain on your knees. When you have completed these exercises, drink some water to re-hydrate. If you feel a little overheated, then step out of the hot tub for 5 minutes or so to cool down. Then, slip back into the water, lean back against the side and relax. Spend up to 30 minutes de-stressing. Now you know how important it is to reduce stress in order to lose weight. And maybe you can see why your previous attempts were not the success you hoped for. And if you don’t currently own an inflatable hot tub, it’s easy to get hold of one – a budget model will work fine. Good luck with your weight loss. We hope using an inflatable hot tub truly helps. And we hope you agree it’s a fantastic way to shed those pounds. Thanks for reading!